As promised, we’ve been hard at work this year ensuring sustainability for Charities Review Council. One option, with potential for great impact, was to reduce our operating expense by re-locating the Council office. 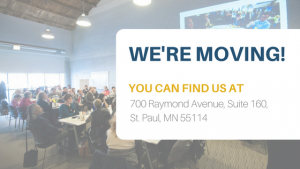 We’re excited to share that we will be moving on Monday, November 21st!